Yeah, I know I chose a busy weekend to get away but sometimes you just have to. Save me some beer though…please! The inaugural National Beer Expo will takeover Richmond next week from Tuesday July 15th to Sunday July 20th. There are so many great events to choose from I had trouble even picking for myself which events to attend. If you go to only one event, it has to be the Grand Tasting on Saturday July 19th with over 150 craft beers to sample; take look at the full list here. VIP admission gets you in an hour earlier plus a few exclusive tastes for $50 versus $39.50 for general admission. Check out the main ticket page for combo options to save some money. You can use the Pombe app to plan out your tasting. There is no menu just yet for this dinner at the Jefferson but I have never been disappointed by the dinners at TJ’s with Patrick Ehemann. Diners will be in for a treat when Joe Sparatta and Lee Gregory join him in the kitchen. UPDATE: The menu is in and looks delicious. Take a look. If I were not already attending dinner at the Jefferson, this movie would be my next pick for the night. 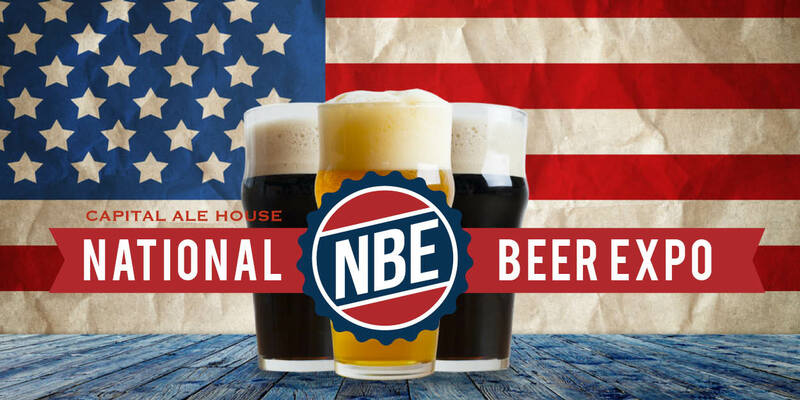 Yes, there is no beer included in the $10 ticket but at that price you can choose from any of Capital Ale House’s beer and learn about the people making the industry. Enjoy the back drop of the Virginia War Memorial as you take part in this beer and food pairing event. There will be 20+ small plate items, each paired with at least two delicious craft beers (25+ craft beers for your enjoyment). Your ticket purchase includes unlimited beer tastings and food. UPDATE: Here is the full menu with the chefs and their beer pairings. Mini Rueben: Lean corned beef, layered with Russian dressing, sauerkraut, on rye bread. Pepperoni Rolls: Peasant style sweet dough stuffed with imported pepperonis and banana peppers sprinkled with sea salt and Romano cheese. Roasted-Pepper Pasta Salad: Rigatoni pasta, tossed with roasted red and yellow peppers, bocconcini (small mozzarella bites) and toasted almonds, basil, flat leaf parsley, and Extra virgin olive oil. Love tacos? Love beer? Well, I guess you could say they go hand in hand. Try these tacos on for size and wash them down with over 30 craft beers to sample. Boka Tako Chorizo and onion on a toasted tortilla. topped with napa cabbage, farm cheese, fig ginger compote, chipotle vinaigrette , sage-goat crema, and a sweet soy drizzle. Mezzanine Tempura avocado taco with sweet chili and a braised short rib taco. Cabbage, salsa fresca and white sauce for both. India K’Raja Indian Veggie Taco: Fresh yellow corn tortillas stuffed with chickpeas & spinach filling topped onions, tomatoes and special India K’ Raja’s salsa. Cha Cha’s Cantina Chicken tacos with delicious chorizo & portabella, topped with sprinkled goat cheese. And of course lettuce & fresh pico! Join Chef Adam Hall and Jay Bayer for an extraordinary local food and craft beer lunch as you prepare for the upcoming Walk-Around Grand Tasting just blocks away at the convention center. Enjoy Saison’s own interpretation of New Southern Food, which arose from Adam and Jay’s travels through Central America and the Southern U.S. Saison has been garnering awesome reviews for the classic techniques they have applied to the creative dishes they turn out featuring seasonal flavors and cuisine that reflect both a traditional and modern culinary sensibility. You will be able to enjoy this lunch and take a leisurely walk to the convention center for the Walk-Around Grand Tasting (ticket sold separately). Join us at Estilo for a creative, multi-course brunch made from locally sourced ingredients and paired perfectly with a delicious flight of craft beers. You don’t have to be a champion to enjoy the adventurous comfort food and delicious libations you’ll gobble down in this sleek, indie-inspired establishment. The “Brewer’s Brunch” will be a private event held at Estilo (7021 Three Chopt Rd. in the Village Shopping Center). The brunch will put two of Richmond’s favorite things together – BEER & BRUNCH! It will highlight the sweet & the savory side of Richmond’s favorite hungover breakfast treats while pairing all Virginia beers. A representative from each brewery will be present. 4oz. tastings of each brew are included in the brunch, and full size beers will be available for purchase.